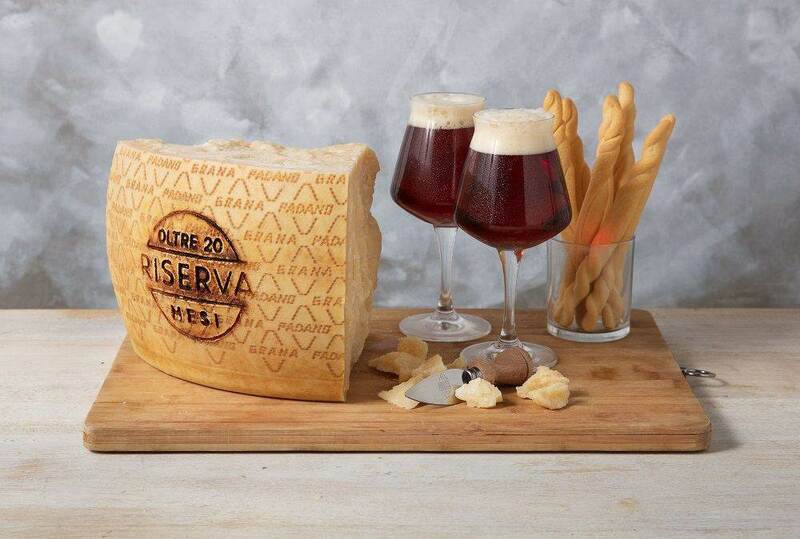 Which beers should be combined with Grana Padano PDO? Beer and cheese enthusiasts can give free rein to their imagination experimenting with a host of possibilities. Cheese can, in fact, enhance the aroma of many beers,while equally the right beer can bring out new nuances in the flavour of many cheeses. There are many different types of beer that combine well with cheese. To start with, the effervescence of the carbon dioxide and bitter taste of the hops help clean the mouth from the fatty sensations left by the cheese. The alcohol content, which is usually quite low, lends smoothness, body and robustness to counteract the powerful taste of some cheeses. The toasted taste, as well as the bitterness of the hops, can counterbalance intense flavours without adding heaviness to the combination through high alcohol content. The ideal beer to serve with Grana Padano PDO is a bottom-fermented, well hopped Pils/Pilsener, pale gold in colour, slightly bitter, with a dry, sharp taste, a large beer head and very fine perlage. To enhance the full flavour and aroma of Grana Padano "More than 16 months" a pale or amber coloured, bottom-fermented Bock is just right, with its malted taste and alcohol content ranging from 6 to 7.5%. 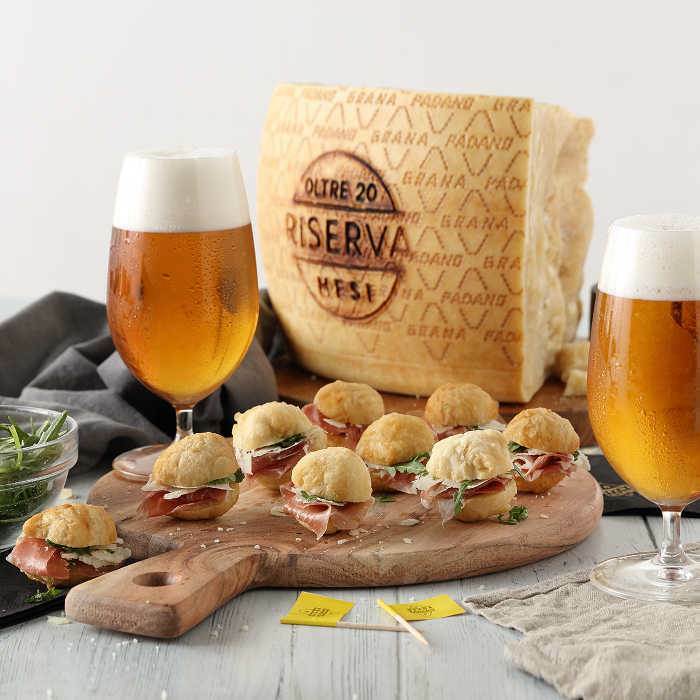 The savouriness and strong character of Grana Padano Reserve goes well with Strong Ale, an amber coloured and highly aromatic beer typically found in Belgium and Britain. For a more adventurous choice, we suggest Sweet Stout, a very dark, top-fermented beer with a thick, creamy, hazelnut-coloured beer head, made from roasted barley and with added caramel.